For some, the slower pace of summer has already come to a close and for others it is just beginning to wind down. Back-to-school shopping is probably on your to-do list. New clothes, pencils, pens, glue sticks, dry erase markers, notebooks, paper, and binders fill the aisles of your local retail store. The business of a solid routine will be a welcome relief for some, yet a struggle for others. Rising early, eating breakfast, packing lunches, and racing out the door just in time is either your cup of tea or a dreaded nightmare. Maybe you are the highly organized sort with to-do lists efficiently checked and backpacks ready and lined up by the door. Or, maybe you aren’t quite as type A as you are a get-to-it-just-as-soon-as-I-can kind of Mom. But can I let you in on a really important truth? Your strategies for preparation aren’t the most important aspect of back to school. There is something else. It’s the most important piece of the preparation and the one thing you don’t have time to forget. It’s what prepares our children’s hearts, souls, minds, and bodies as they step into the next chapter of their journey. And that, my friends, are your prayers. You see, a praying Mama is about the most powerful thing on the face of this earth. If I could stop the hustle and bustle in your life for just a moment right now, I’d look into your eyes and urge you with everything inside me to stop and pray fervently for your children. As Moms, we can’t be with our children every second. The older they get, the further we must release our grip. It’s a process of surrender. 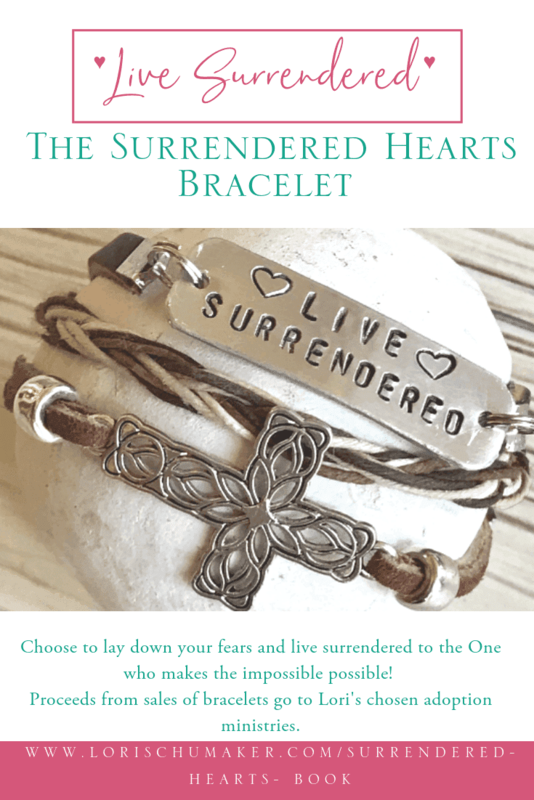 But it’s not a surrender we do without battling … battling in prayer. Joshua 1:9 Pray they be courageous. James 4:7 Pray for their obedience to Christ. Hebrews 10:35-36 Pray for their confidence. Hebrews 12:1-2 Pray for endurance and finishing well. Proverbs 19:20 Pray for wisdom. Psalm 91: 1-2 – Pray for their protection. 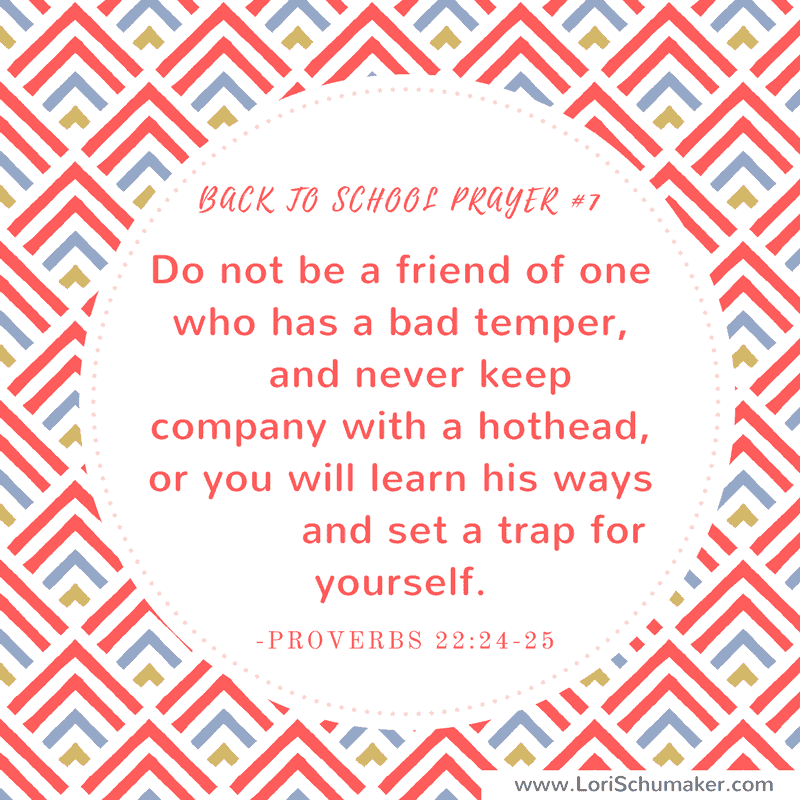 Proverbs 22:24-25 Pray for Godly friends. Missed part of the Series? Get caught up HERE! Or by clicking on each image below! And when you subscribe to Searching for Moments and commit to filling your mind and heart with positive hope-filled content on a consistent basis, you get full access to the Library of Hope. From this series alone, you not only get the prayer image in this post, but you get the set of 7 Scripture Cards to pray for your child! Click HERE to subscribe! I love giving things away ♥ So, thank you for joining me for the Undescribeable Church Bible Study giveaway! Rafflecopter selected one winner and I can’t wait to have the book shipped out to her! 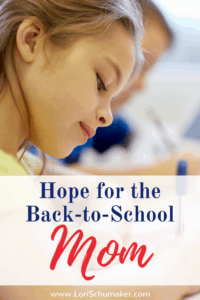 If you are a Mama like me and are jumping on board over the next month for the Hope for the Back-to-School Mom Series, you probably could use some help in the marriage department as well! Well, Dawn’s article, 25 Powerful Ways a Wife Can Say “I Love You” is the perfect companion! 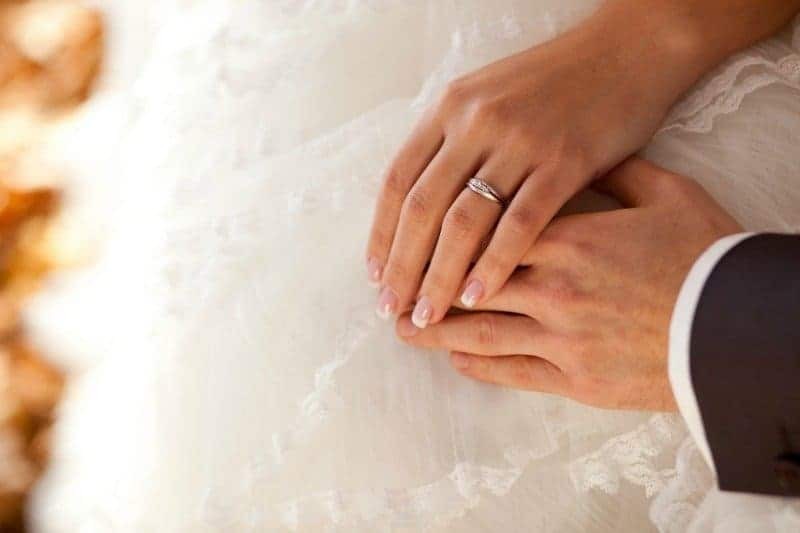 As you commit to praying for your children as they go back to school, these are some ways you can commit to loving your husband well. And, guess what! They aren’t super difficult or time consuming! #MomentsofHope is back in full force this week! I’ll be visiting as many posts as possible, sharing them to my Moments of Hope Group Board on Pinterest as well as my other social media platforms when applicable, and choosing one post each week to feature. 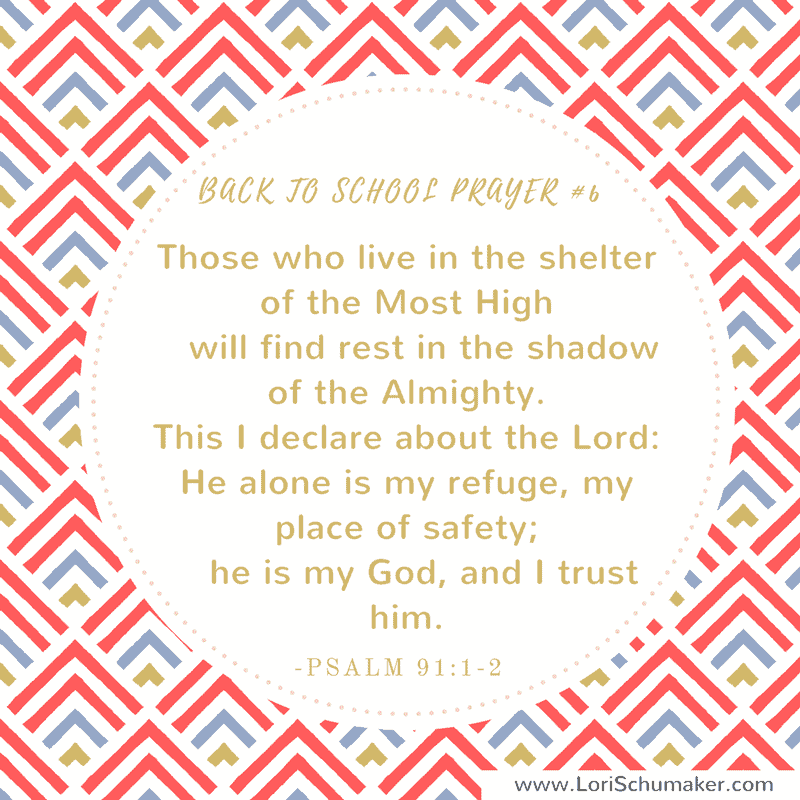 As boy #3 goes off to college in a couple of weeks, I’m looking at these prayers and thinking that the words are the perfect expression for the thoughts of my heart. Thank you for compiling this lovely post. Wow, Michele! Congratulations on this next milestone! Thank you for being here this week! Lori, beautiful reminder as to the most important thing we can do for our children – and grandchildren! Sharing this today! Thank you for these beautiful prayer card images! Thank you so much, Joanne. Yes, prayer is the most important tool that we have at our disposal. I appreciate you sharing this, thank you! These are such beautiful prayer cards! Thank you for hosting the link-up! I love what you reflected on in your last post when you said that sometimes learning to embrace the chaos is more important than finding balance. Let’s face it, some of our schedules are just busy and finding balance can seem impossible. But embracing the chaos in the middle of it all and praying for our children makes such a difference. Your new series looks wonderful too! Thank you, Valerie! Yes, sometimes the schedules are overwhelming and the best thing we can do is to just embrace the stage where God has us! Thank you for being here this week! 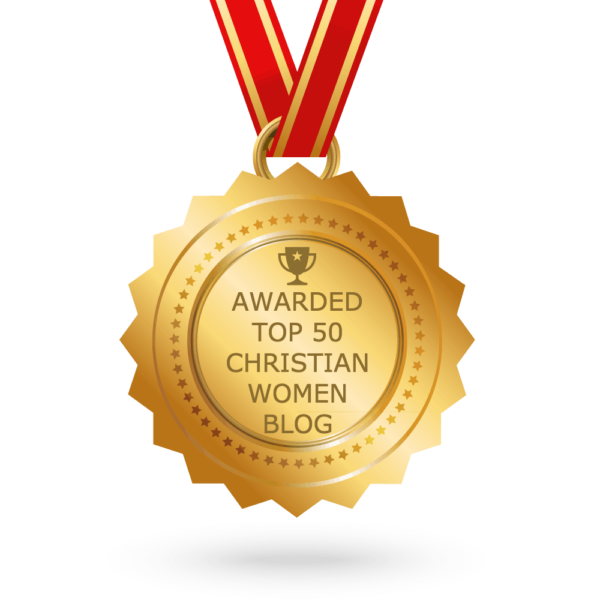 Lori, I loved the encouragement and verses you share here! Today is our first day back at school. Perfect timing!!! Many blessings! Thank you, Leslie! I hope it’s been a great first day for you! These prayers are great for my grandchildren, too. Thank you, Debbie – yes, these are great for grandchildren as well! AMEN to this! I”m so thankful for my praying mama, even though I’m not technically in school any more, because with those spiritual battles I face every day, God knows that I need a praying mama and praying daddy. That’s so true, Emily. We can all use someone to pray for us! These scriptures and prayers are good for all of us, kids or adults, going back to school or just going into a new week. Thanks for sharing these truths, Lori! Oh, thank you, Lisa! Yes, it’s always great to start the week with God’s Word! Blessings! 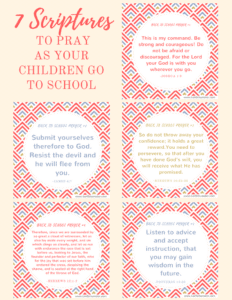 Thank you for sharing these prayers that we can pray over our kids as they go back to school. And thank you for the feature! I’m honored. Thank you, Dawn! It’s an honor to have you featured – thank you for being here! As always, you are encouraging and profoundly practical. My kids are grown but my grandkids start school next week. Thank you for all you are doing! Thank you so much. Blessings on your grandchildren as they start school next week! The prayer cards are great, Lori! I look forward to this series! Thank you for the reminder to be a praying Momma! Thank you, Julie! I appreciate your kind words! Oh, I love this, Lori! 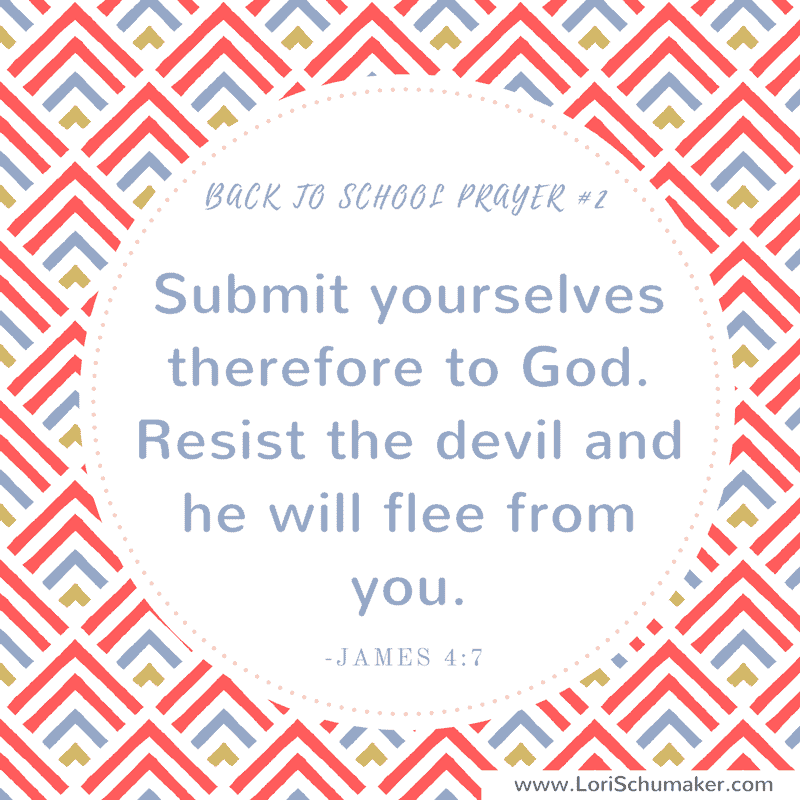 I can get so overwhelmed by a growing to-do list as back-to-school nears, but I keep feeling the urge to stop and pray. Thanks for the prompting and for helping me to focus. Blessings, my friend! It’s as if God gives us the gentle reminder that everything we do needs to be bathed in prayer. Thank you, Carlie! I get to hold on to my triplets for one more year before I send them to pre school. I have anxieties to let go to them already. Enjoy this year with them! School brings so many changes. Yes, I agree that a praying mama is such a force for the Kingdom! Blessings, friend! I am not a mom, but I have a K-5 student in my life that is like a daughter to me and I teach first grade Sunday school. School starting back has hit me hard this year. Our little ones have so much they are faced with and speaking God’s words over their lives is such a powerful way to strengthen our faith and their’s. Great list! Thank you for this week’s link up!!! Thank you, Jessica! Yes, no matter what children are in our lives, we need to be praying over them. Thank you for stopping by this week! Oh my goodness this is the first year I have no children going back to school. However, the prayers you mentioned work for adult children too. Thank you for the reminder to get on my knees and pray. 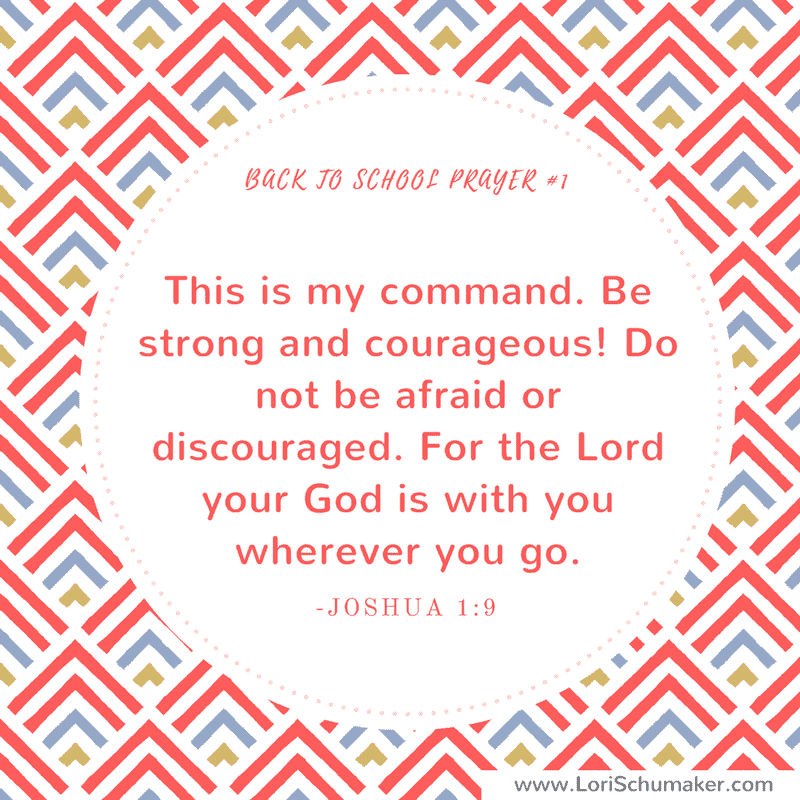 Praying for you Mom’s that have children heading back to school. It was always a bitter sweet time for me. Thank you, Maree! Congratulations on arriving at the stage where you do not have to worry about back to school! 🙂 I’m glad to hear these prayers work with adult children, too. Thank you for being here this week! 7 Scriptures to Pray When Your Children Go to School | Hope for the Back-to-School Mom was a good way for me to start my Saturday here in Greenland. I have a son soon finishing his first school chapter in life, so your blog post about faith and school was a relevant read. Shopping for the new school year is one of the activities my son, and I enjoy the most doing together. He’s quite aware of what works and what doesn’t work when we’re in our National Bookstore in the Philippines. The mindset we give them will stick with them their whole life, so we better put something of value in there. What you wrote about children getting older got me to think of how difficult it is to let go of the children (in a positive sense) allowing them to take more responsibility. It reminded me of something I once heard. Our children are a gift we’ve been blessed to raise – they’re not our forever. I thought that was so beautiful! I look forward to reading what you’ll be posting about school and children over the next weeks. Some aspects that uplifted me by reading this particular blog post were your positive tone and the way you interact with your audience. You’re good at responding to your readers in the comments. You set a positive tone that’s authentic especially by the way you include your experiences from other people’s blogs. You have your way of saying thank you that stands out from the standard-thank-you. 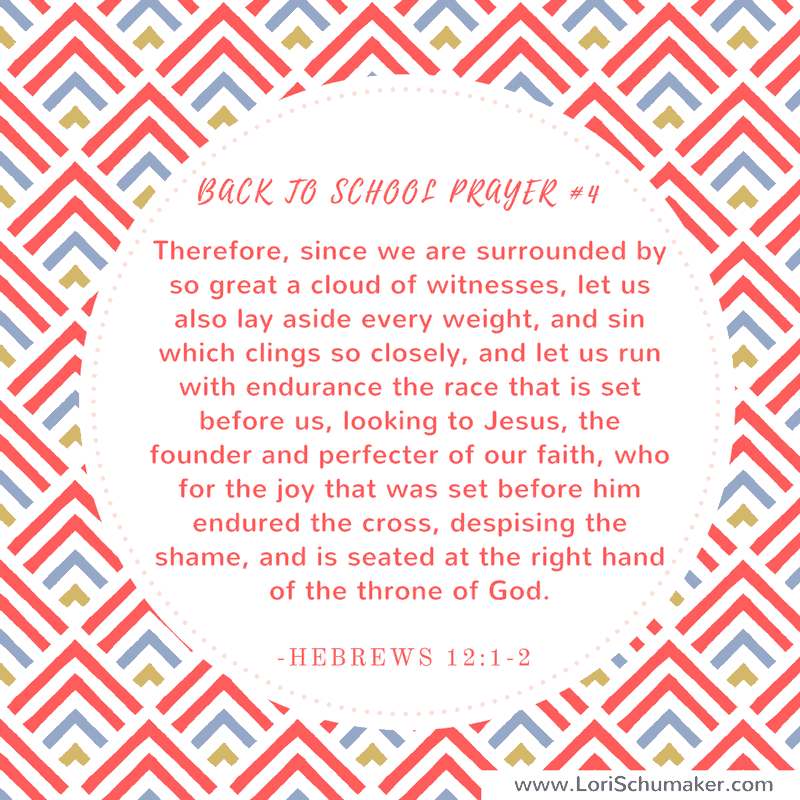 I’ll share 7 Scriptures to Pray When Your Children Go to School | Hope for the Back-to-School Mom on my social media next Saturday. Welcome to my blog! I’m so glad that God led you here. What a blessing your words are to me. I love what you’re saying here: “The mindset we give them will stick with them their whole life, so we better put something of value in there.” I wholeheartedly agree with that! 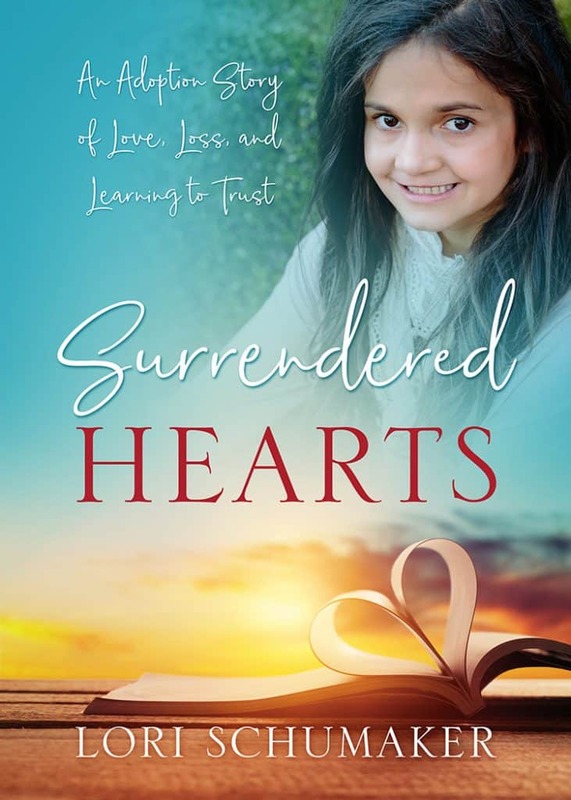 It is hard to let them go as they get older, but when we’ve filled their hearts with truth from God, when we’ve prayed for them and over them, and when we’ve entrusted them to God’s care, we have done what we can to raise them to love the Lord. Thank you for taking time to leave such an encouraging comment today. I appreciate your kindness and thoughtfulness in what you’ve said. Thank you for sharing this post – I’m really praying that it finds its way to other moms, and even grandmothers, who need to read it. I’m praying for your family this weekend. Thank you for being here – I look forward to getting to know you more! Blessings!